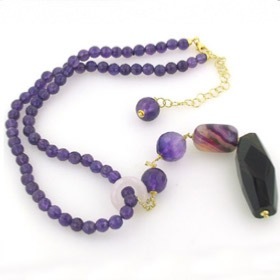 Amethyst and agate bead necklace. 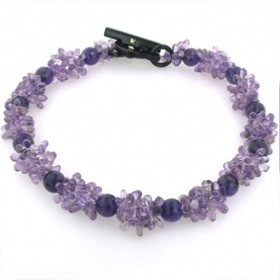 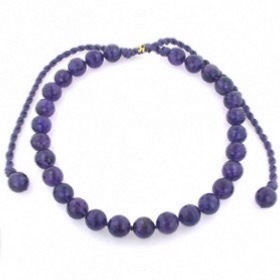 This gemstone bead necklace combines purple amethyst, black agate and violet agate. 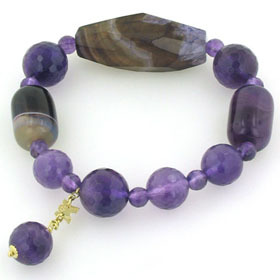 The colour combination is rich and the style looks beautiful worn either outside a shirt or over a plain top. 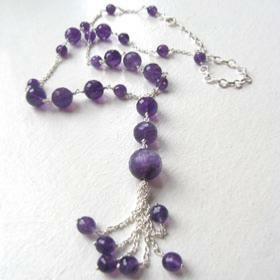 The necklace is created with faceted gemstone beads and has a long 4 stone pendant. 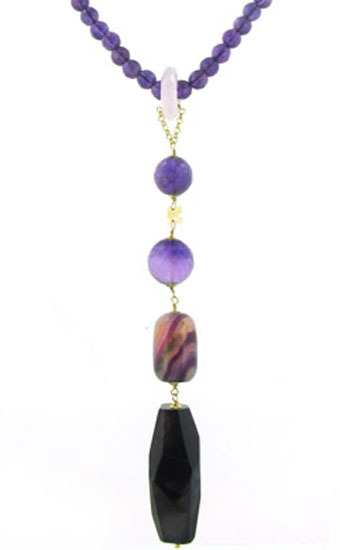 A rose quartz hoop attaches the agate stones pendant to the amethyst bead necklace. 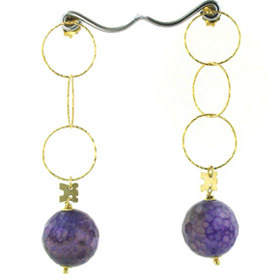 It is finished with gold plated sterling silver and fastens with a lobster claw clasp. 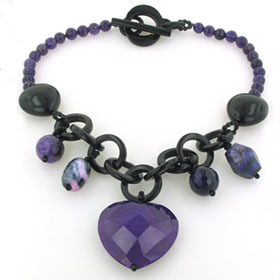 There are extra links to allow for wear at different lengths. 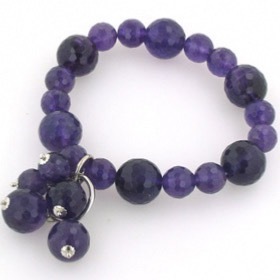 So beautiful, we bought a matching bracelet (see below)! 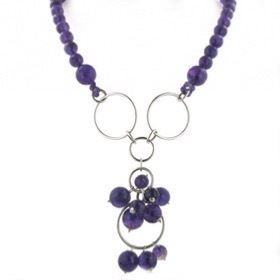 This necklace is made in Italy by Rajola and gift wrapped in attractive branded packaging ready to present to your loved one or to treat yourself.